As sweet as cinnamon: Birthday Treats from Special Friends! from so many dear dear friends. Thank You! And well wishes too from my new friends. It made my Birthday extra special. I also received many beautiful gifts in the mail. a fat quarter of one of my Favorite designers, Fig Tree. I definitely will be having tea with you (in my heart). A recipe journal and silver Love Heart trinket box. the most amazing handmade shopping bag from a dear friend Veronica. I adore them THANK YOU! I feel so blessed and loved. Back soon with some more show and tell. How sweet of your friends to remember you like that. 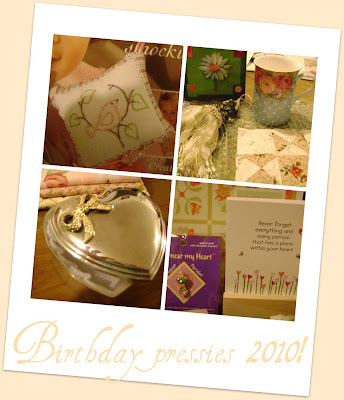 I am pleased you had a lovely birthday and received so many gorgeous gifts from your friends. 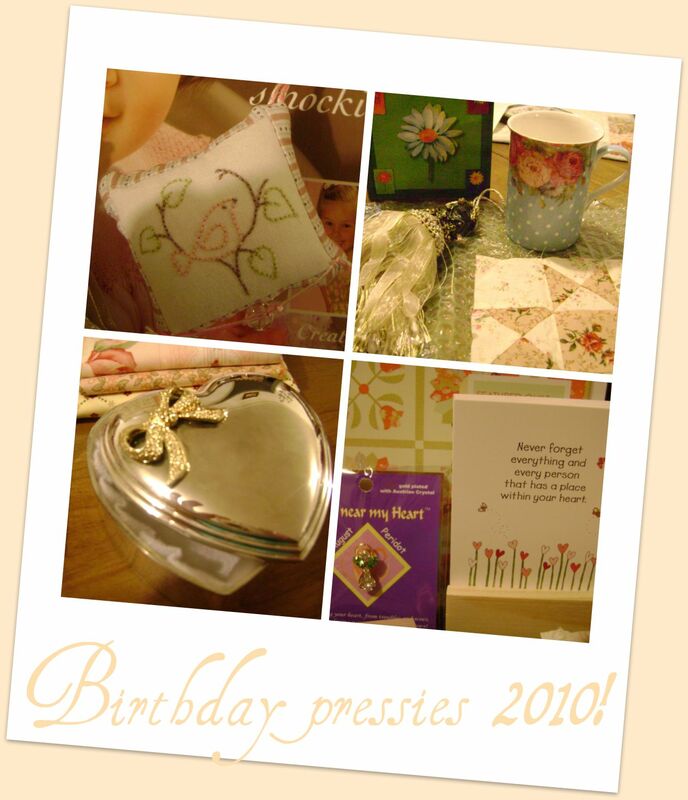 What lovely friends to send you so many wonderful gifts. You truly are blessed! Happy Birthday Dawn! Many happy returns of the day to you. Is there any greater blessing than to have friends and family that love you - Dawn, you were lovingly spoiled and I'm so glad, you deserve it! 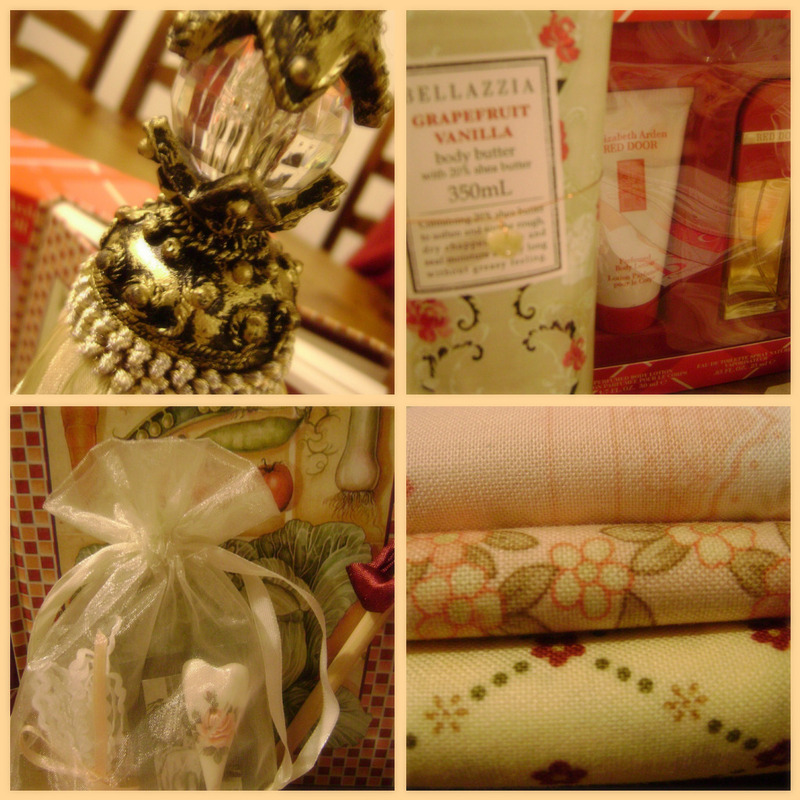 Oh what wonderful gifts you received. They are all so beautiful! You certainly have recieved some lovely gifts an dmore to come , some thing special is coming Tuesday. I missed this post but I will say Happy Birthday to you even though I am a bit late. Looks like it was a great day and a great week for you. Happy Birthday and here is to many more. Have a super great creative day. Happy Belated Birthday Dawn, may all your dreams and wishes come true. Hope you had an awesome day! God bless. Te seguiré. Suerte y éxitos.